Republican Sen. Ted Cruz is trailing a long way behind Donald Trump in the conservative presidential primary campaign. Trump is sweeping up the delegates and Cruz and the establishment needed to pull a rabbit out of the hat. The only hope for Cruz was a wing and a prayer. And that rabbit was female – Carly Fiorina. Fiorina Failed to grab any positive attention from Republican voters early on, in her own race, and she dropped out. So Cruz has decided to shore up his failing campaign with a failed candidate. Right now, Cruz is coming up to a must-win situation for himself, in next week’s Indiana primary. He is literally on the ropes and may go down for the count. So the Cruz campaign decided to throw a political Hail Mary and the receiver was Fiorina. When he announced Carly Fiorina as his vice-presidential running mate on Wednesday, Cruz really surprised many of those in attendance. Although this is not the first time a second-place candidate has made such an announcement, only voters who were around and awake in 1976 would know. Now for a bit of history. In 1974, Richard Nixon resigned as president, and Gerald Ford became president. At the 1976 election, Ford contested the primaries, but Americans were angry with him. Ford’s unpopularity came because he had pardoned Nixon. At the Kansas City Republican National Convention in August, 1976, the anger of the electorate was made clear. This was the year that Ronald Reagan threw his hat into the ring. The two-term California governor almost upended Ford, and that is when Ford took a gamble. He announced his vice presidential running mate before the nominating process began. 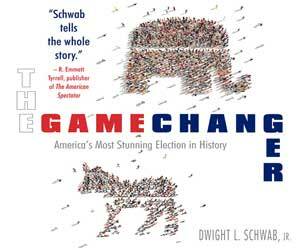 His selection was Sen. Richard Schweiker a moderate Pennsylvania conservative. Reagan tried to balance the ticket, and almost made it. Almost, but not quite – he lost on the third ballot to President Ford and a very disappointed minority supporting Reagan disbanded. Ford lost the election to the little-known former Georgia governor, Jimmy Carter. Now back to the present. 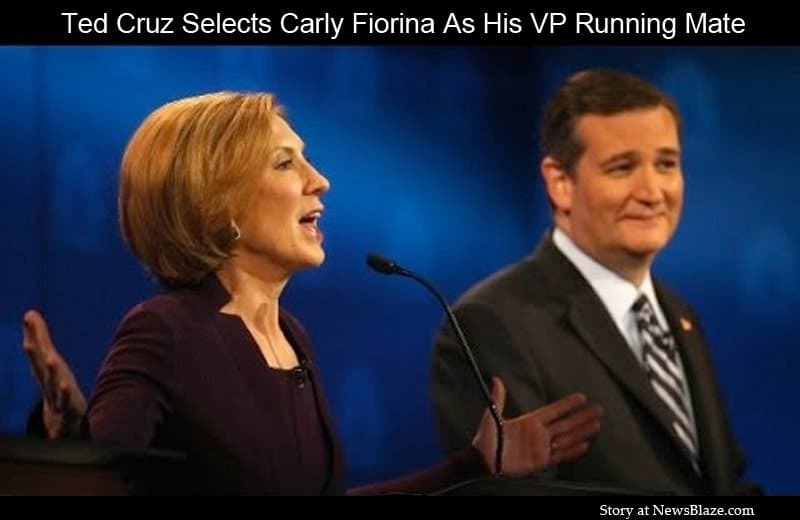 Ted Cruz has set up his own “Ford moment,” by selecting Carly Fiorina, the former Hewlett-Packard CEO – and failed presidential candidate – as his running mate. Fiorina is as outspoken, intelligent and conservative as Cruz. What she doesn’t have is the spectre of ineligibility hanging over her head, and she doesn’t have a huge following. Is it possible the establishment is leveraging the popularity of Cruz to get Fiorina into the running? If not, why Fiorina and why now? Although Cruz has a sizeable following, many voters object to him because he has a somewhat harsh conservative interpretation of the country’s morals and direction. Looking back at Fiorina’s campaign, before she dropped out, there didn’t seem to be much of a difference in platform for the two of them. That is probably the reason she immediately endorsed him. That endorsement also set her up for what is happening now. So now Cruz (and the establishment) has the idea of a woman on the Republican ticket as a counterbalance to Hillary Clinton, who they think will be opposite them in November. On the upside for Cruz now is that he has a credible conservative woman to offset Hillary’s claim as a champion for women. Certainly the Cruz campaign appeared to be going to hell in a handbasket, and he needed to do something to regain momentum. This announcement has certainly caused a shakeup, and now there are two fiery attack dogs on the case of both Trump and Clinton. Now it turns out that the surprise announcement of Fiorina wasn’t a spur-of-the-moment decision after all. The Cruz campaign had already set up website, CruzCarly.com, to solicit donations. They also already had Cruz-Fiorina campaign paraphernalia for sale. The Cruz campaign probably has polling data that shows winning Indiana in next Tuesday’s primary is now possible. At this point, without any change, and with Cruz trailing Trump in the most recent state polls, there would be almost no hope of stopping Trump from reaching 1,237 delegates. Now, there is a possibility of a Cruz win in Indiana, thwarting Trump’s ascent.